This post has been sponsored by SheSpeaks, Inc. and The Coca-Cola Company. No doubt, the holidays are upon us… it’s been yet another crazy busy year for our new business (we celebrated our first year in October)! Holiday or not, there’s always something worth celebrating, and we’re learning to keep things as light and stress-free as possible! 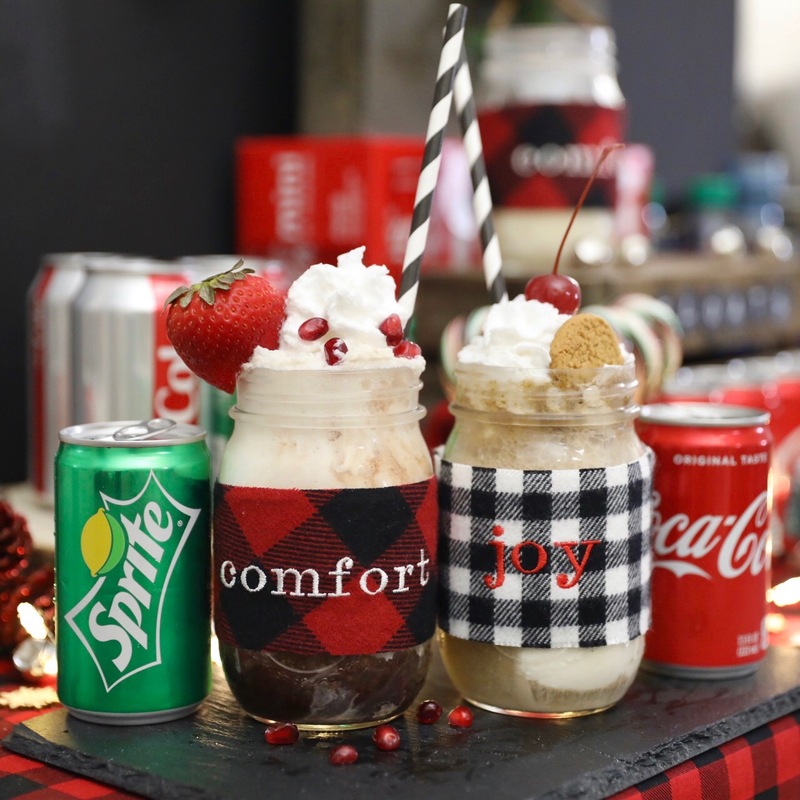 So, bundle up as we share some delightfully easy ice cream floats with you–with a holiday twist! 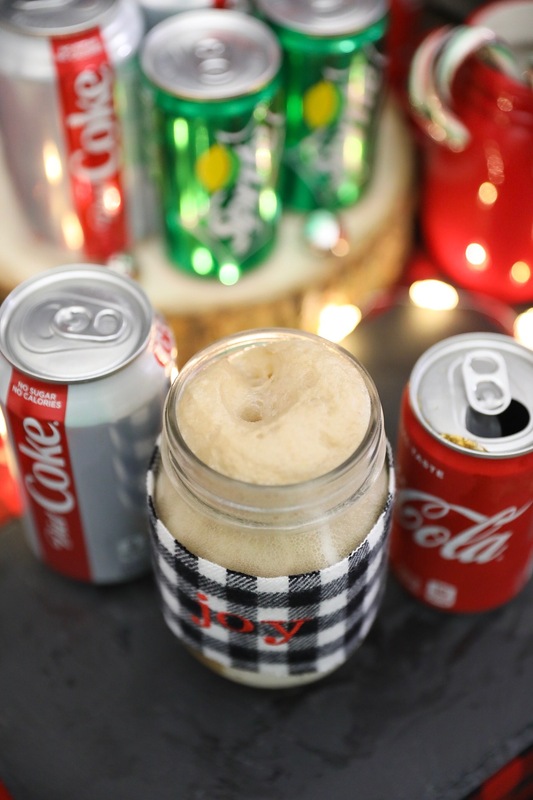 It hardly ever gets wintry here in Florida, so we’re bringing in the cold with these refreshing but super easy ice cream floats with a holiday twist! 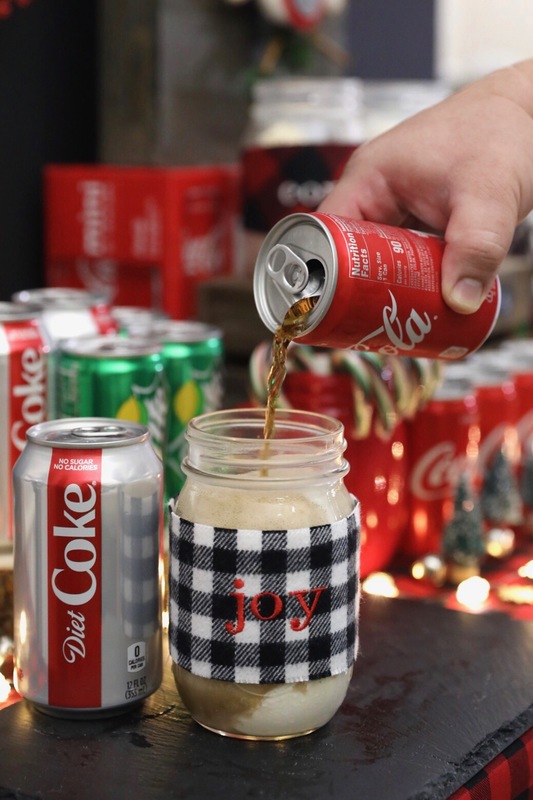 Side note, we’re loving the drink’s classic look against the classic plaid! This DIY mason jar sleeve was super, super simple to make. 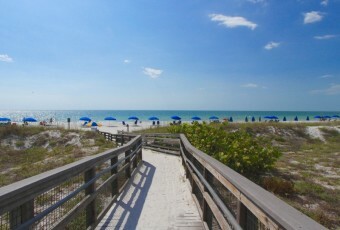 We did talk about keeping things as stress-free as possible, right? Anyway, to keep things simple, we like to pick up all of our holiday entertaining beverages from Sam’s Club (convenience + good value). You’ll see us using some of these beverages in the recipes, below. 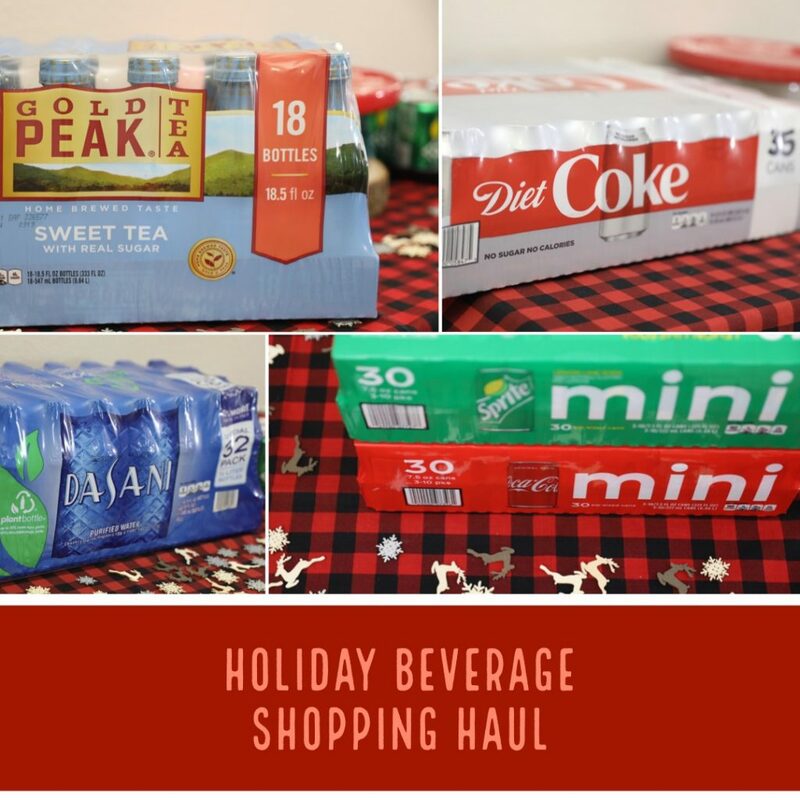 About convenience: Buying beverages (like these) in bulk can get a little heavy, so the Club Pickup option at Sam’s Club can come in real handy. Simply shop online and Sam’s Club will have your order ready for you when you arrive. With pomegranates being in season, we couldn’t help but add them to the traditional strawberry float! When using fresh strawberries to make a treat, we’ve heard that it’s better to combine them with some sort of fruity syrup or jam. The strawberries seem to release more of their “berry goodness” this way. So, instead of using traditional strawberry jam or syrup, we decided to whip up our own pomegranate strawberry syrup! 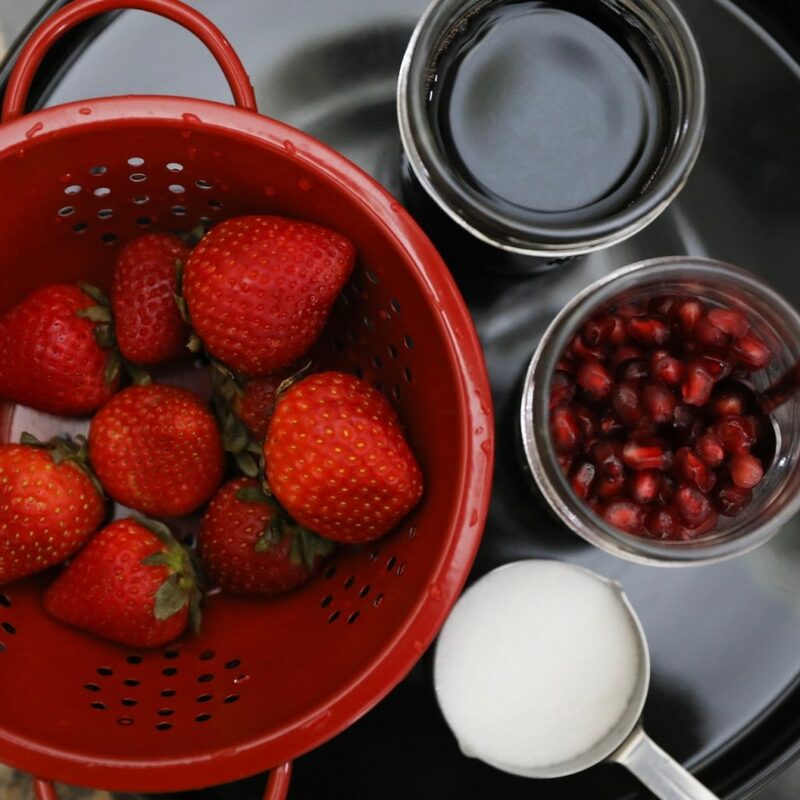 To make the syrup: Combine 1 cup of fresh strawberries (chopped), 1 cup of pomegranate juice, and 1/2 cup of granulated sugar in a sauce pan and bring to a boil over medium low heat. Reduce the heat and let it simmer for another 10 minutes or so. 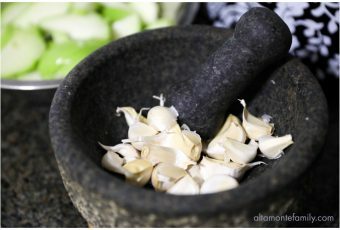 You can blend it in your blender for a smoother consistency–or leave it as is. We kinda like it as is. Sometimes, we add in some fresh pomegranate arils, for texture. Don’t forget to let it cool in the fridge (covered) for approximately 2o minutes (or overnight). Now, we’re ready to make the Pomegranate Strawberry Float! Directions: Simply combine in a glass or cup of your choice, gently stir, and enjoy! As with any ice cream float–it’s really up to you! You can adjust, as your palate leads you! 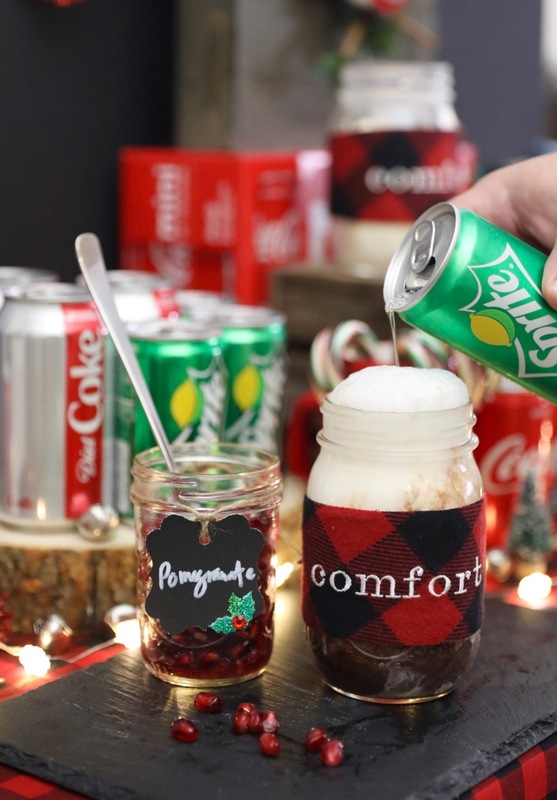 Some of our guests prefer more ice cream scoops, while others prefer more Sprite® in the mix. Then, there are those who are all about the toppings. 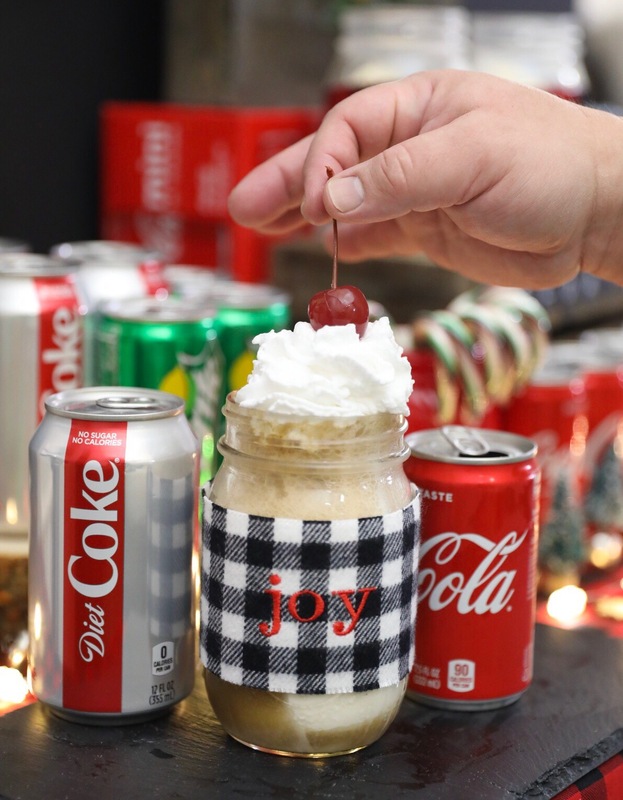 Whether you find comfort in an ice cream float with fresh fruit or you delight in the simplicity of sipping a traditional float made with Coca-Cola® or Diet Coke®, it’s always refreshing and uplifting to get together with friends and family to celebrate the joy of Christmas. 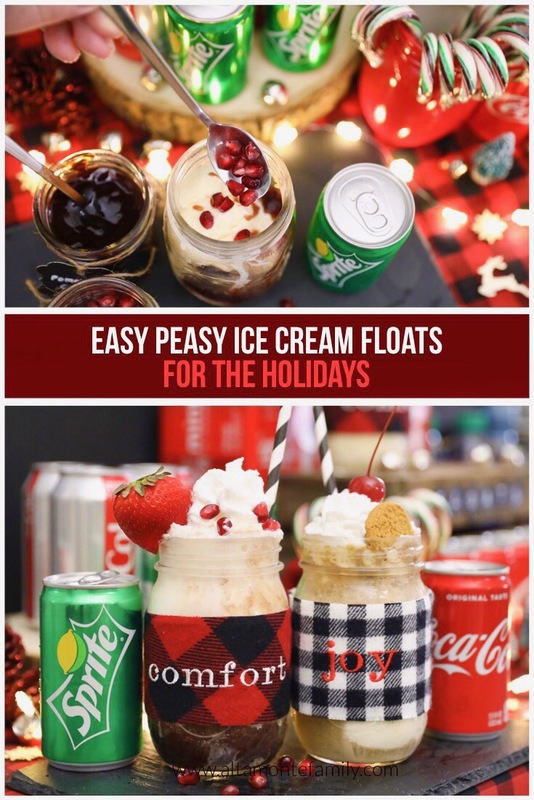 This isn’t so much about how to make the easiest ice cream float on earth, but rather, how to dress it up, to give it a holiday look! 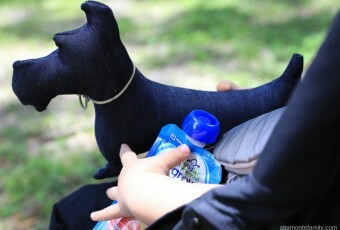 Consider using a drink sleeve that’s functional, decorative, and festive! 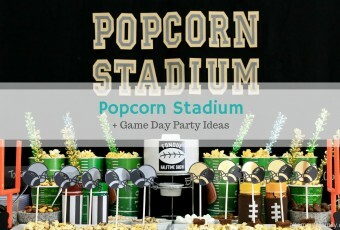 If you can make it yourself using what you’ve already got on hand, even better. Don’t forget to celebrate the small things! 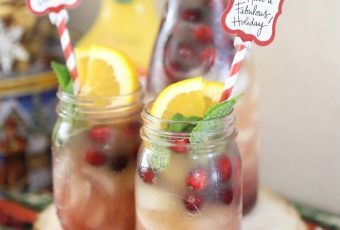 Toppings–you don’t have to go overboard to make the drink look festive! Our favorite topping just might be the old-fashioned ginger snap cookie (in the last photo)! Do you have a favorite ice cream float recipe? 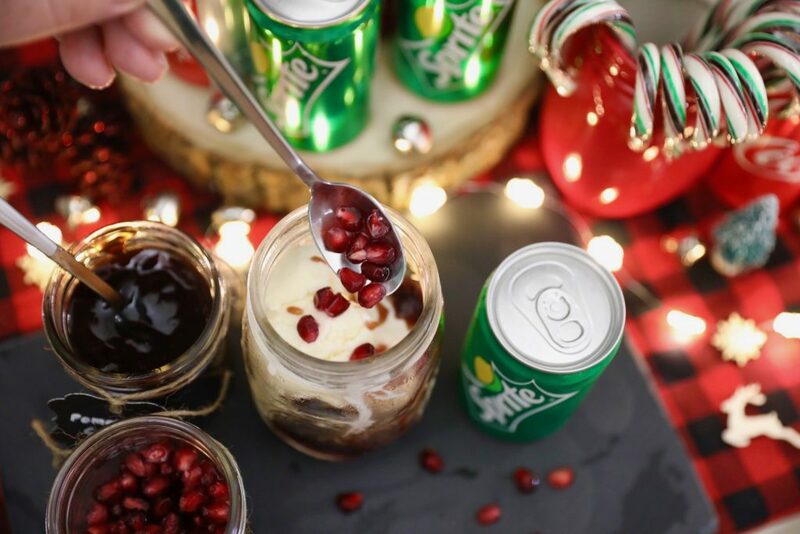 What will you make with Sprite® mini-cans? Click here to get a head start and save time on your holiday shopping with Club Pickup at Sam’s Club!